So, has the holiday mania started in your neck of the woods yet lovelies? For me, it began with Black Friday. Earlier this year, I said I was going to forgo the brick and mortar craziness, but, in the end, found myself out and about the day after Thanksgiving . What can I say? My sister asked me to go. Who can turn darn sisterly quality time paired with shopping and java? Not this girl! And it&apos;s been non-stop errand running and planning for holiday travel since then. One thing that would make all this holiday preparation more fun would be a fabulous new bag. Preferably something nice and roomy! Us mamas need some space...Am I right? I&apos;m headed out in a few weeks for our holiday trip, so I need a big old bag that&apos;s fit for traveling and can serve a variety of functions after I return home. Now don&apos;t get me wrong. I love my little clutches and smaller scale cross-bodies for quick trips out of the house sans kids...but if I have little ones in tow, traveling or embarking on a serious shopping trip, a bag that can really store stuff is a must have pour moi. At any given time I have my makeup bag complete with concealer and lip glosses galore, a large and in charge wallet, snacks, toys, diapers, wipes and a slew of other mama necessities. I&apos;ve even made a habit of taking my camera with more often than not. It&apos;s the blogger in me. You never now when a good photo opp might pop up! So, a bag that will safely house my precious DSLR isn&apos;t a bad idea either. I think most of us mamas are picture taking fools right? Haha! Kelly Moore makes gorgeous camera bags, that are less on the utilitarian side and more on the stylish side. You don&apos;t have to sacrifice form for function! You gotta love that. And they&apos;re roomy enough to carry much more than your camera. If you&apos;d rather just throw your camera in a regular tote or backpack, that works too! I confess that&apos;s usually where you&apos;ll find mine. 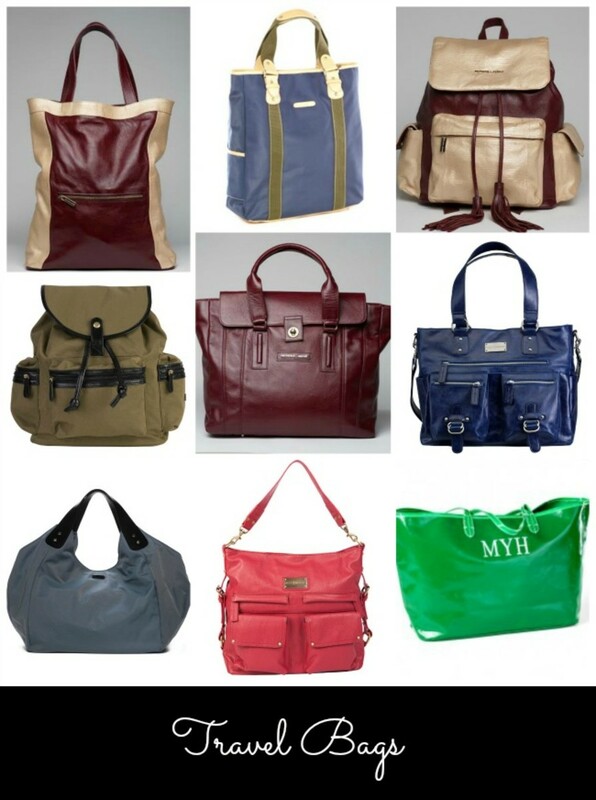 Clava, Ellington and Deondra Jeree all offer gorgeous options that will work for your travel needs and more!